You are here: Home » What Is Whey Protein and Why Should You Use It? 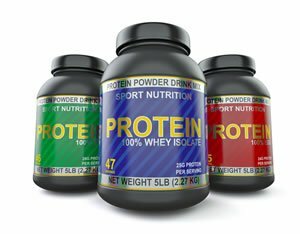 If you’ve been researching, browsing, or buying any protein powders, whey protein is probably the first thing you come across. When it comes to protein powder, whey is definitely a heavy hitter in that field. It’s commonly used in a variety of protein powders and protein products. There are also a few different types of whey that are utilized. If you’re looking to lose weight, tone up, or bulk up, whey is going to be a vital source and great tool to help in your endeavors. Let’s break this particular protein down and get a better look at what it is and why you should take it. Milk is comprised of 2 different proteins, which are whey (20%) and casein (80%). Whey is the liquid portion of milk that separates throughout the production process of cheese. Whey is actually found within the watery portions of milk. When cheese is being made, the fatty portions of milk coagulate and the whey ends up being the by-product of this separation. You may not realize it, but you’ve probably seen whey protein before. When you’re readily opening up your cup of yogurt, only to be greeted by a strange liquid floating at the top… that, my friend, is whey protein. It actually used to get thrown away by the cheese makers until the commercial value was discovered for it. And thank goodness for that discovery! Whey protein contains all 9 essential amino acids, which are the amino acids that our body can’t make on their own. This makes whey protein a complete protein. However, whey actually comes in a 3 different forms. Whey protein is broken up into 3 types, with the main differences being how each are processed. Whey protein isolate (WPI) – This type of whey has been processed to remove all of the lactose and fat. WPI usually contains at least 90% protein. Whey protein hydrolysate (WPH) – Also known as hydrolyzed whey, this particular type is considered “predigested” because it’s gone through partial hydrolysis, which is a function required for the body to absorb protein. WPH doesn’t need as much digestion compared to the first two types of whey. This type is usually used in baby formula and medical protein products because it’s much easier to digest and has less potential allergens. So we know what whey is made of and we know the different types, but now let’s look at the benefits of using it. Whey is a total powerhouse when it comes to protein sources. It’s at the forefront for helping with weight-loss and with achieving your fitness goals. New research is also showing that it may help with a myriad of health related issues, as well. Let’s see exactly why we should use whey protein. As I mentioned earlier, whey protein is a complete protein. This makes it a high-quality protein that contains all 9 essential amino acids (these are the amino acids that our body can’t make on its own). Whey protein contains a particularly high amount of Branched Chain Amino Acids (BCAAs), which are very important to the body. Branched chain just refers to the chemical structure of these amino acids. The specific BCAAs that whey contains are Leucine and Cysteine. Research shows that the amino acid, Leucine, may be the most anabolic, or promoting of muscle growth, among all of the amino acids. 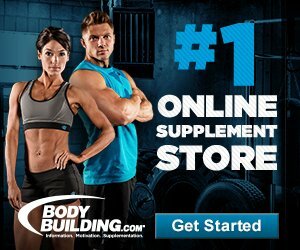 Other research reveals that not only do these BCAAs increase the rate of protein synthesis but they also increase the capability the cells have for protein synthesis. This gives it an added boost! BCAAs may also be able to help reduce or prevent fatigue within athletes. Whey seems to be rather efficient at stimulating the growth in humans. Interestingly, human breast milk is made up of 60% whey, where cow’s milk only has 20% whey protein. Whey protein has an added advantage among other protein sources. This particular protein has a fast absorption rate and can be utilized much quicker than other protein forms. This makes taking whey protein in conjunction with workouts very effective because it’s able to act quickly within the body (compared to casein which is absorbed at a much slower rate). Studies show that when whey protein is taken right before, during, or after a workout, it’s effective at increasing muscle growth. Also, whey is able to increase muscle growth more than other types of protein such as soy. A 10-week research study was completed at Baylor University in Waco, Texas that included 19 male resistance trainers that were split up and supplemented with either whey protein shake or a 20-gram placebo shake. The group that consumed the whey protein showed significantly more muscle strength along with more fat-free mass. The study brought out that the best results seemed to be when the whey protein was taken one hour before and after the resistance training. Several research studies show that whey protein may be able to help fight against certain forms of cancer including colon cancer and prostate cancer. According to the journal Anticancer Research, promising findings were seen with the use of whey protein concentrate (WPC) and glutathione modulation within the treatment of some cancers. More research needs to be done, but the findings are shedding light on all the potential benefits protein may have to offer us. The British Journal of Nutrition published a study that showed after 12 weeks, a significant decline in LDL cholesterol (the bad cholesterol) and total cholesterol levels were seen in those who took whey protein, compared to the group that took casein protein. According to the International Dairy Journal, patients with hypertension (aka high blood pressure) who consumed whey protein drinks showed significantly lower levels of blood pressure at the completion of the study. The research also showed that the patients were able to lower their risk of stroke and heart disease due to these decreases in high blood pressure. Numerous studies have shown that whey protein powder is able to help individual’s lose weight. Not only were individuals able to lose body fat but they also preserved the lean muscle mass (which can be lost during weight-loss). Whey protein also acts as an appetite suppressant within the body and can lead to a reduction of calories consumed and eventually into weight loss. As you can see, whey is a valuable and prominent protein that offers a wide array of health benefits. Whey is a complete protein that’s quickly absorbed, allowing it to get straight to work within the body. It promotes muscle growth within the body, increases the rate and capacity of protein synthesis, and increases muscle strength. Whey may also help with weight loss, lowering high blood pressure and cholesterol and even potentially help fight certain cancers. More research is needed but the findings are promising across the board about the benefits of protein. If you’re looking for the perfect protein powder for you, check out our list of the 10 best protein powders!